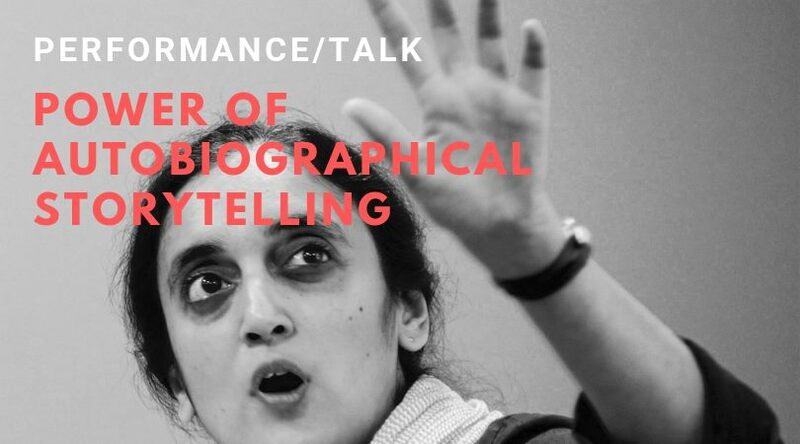 In this performance talk, Gauri Raje, an anthropologist and storyteller, will be speaking about the contemporary storytelling form of autobiographical storytelling, and her work in relation to this form. What kind of ‘re-membering’ does autobiographical storytelling call for? And why should a listener spend their time listening to someone else’s life story in a public forum? We’re looking forward for a close intimate sharing session all the while exploring the strength of this form of storytelling. interested in exploring multilingualism in telling stories, and the question of what is it that we see/witness in the process of telling and listening to stories.